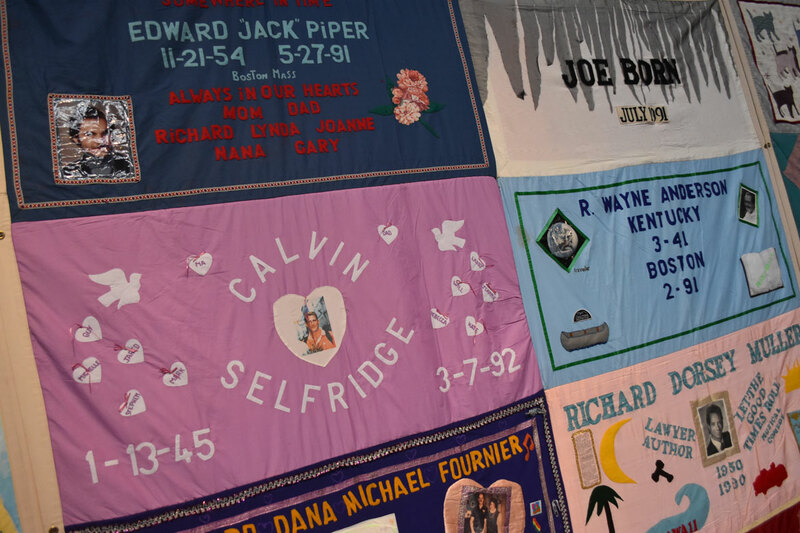 Twenty sections from the landmark AIDS Memorial Quilt frame this year’s 27th annual “Medicine Wheel” AIDS vigil. 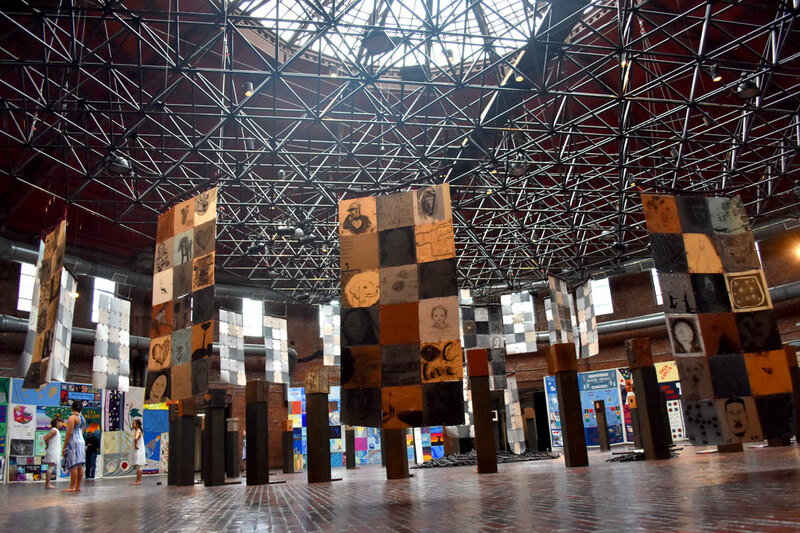 The event begins at 11:30 p.m. tonight and continues for 24 hours at the Boston Center for the Arts Cyclorama, 539 Tremont St.
“The AIDS Quilt is the single largest collective public artwork in the history of the U.S. ‘Medicine Wheel’ is in the spirit of that,” says Michael Dowling, who creates the Boston display with hundreds of volunteers. This is the third time the Boston vigil has displayed sections of the AIDS quilt, which was begun in spring 1987 by Bay Area activist Cleve Jones—a friend and protégé of Harvey Milk, the pioneering gay San Francisco politician—and friends. 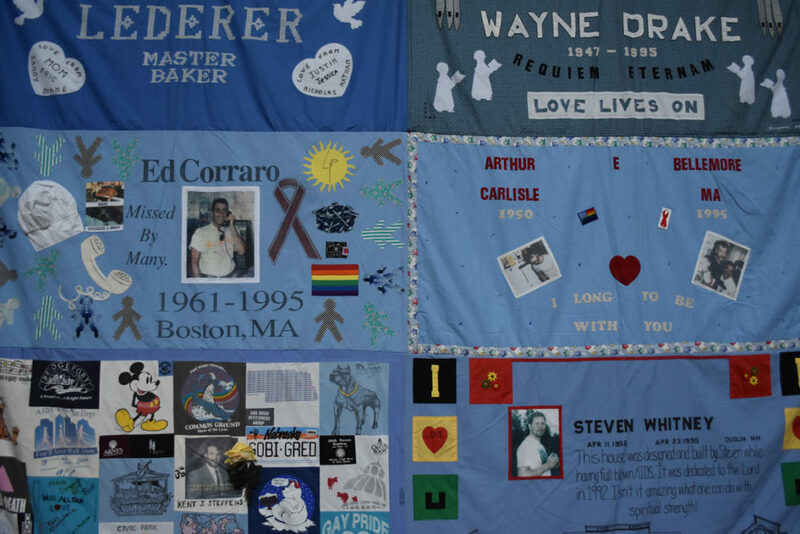 People from around the world contributed 3 feet by 6 feet panels (the size of a human grave) to remember loved ones lost to AIDS. 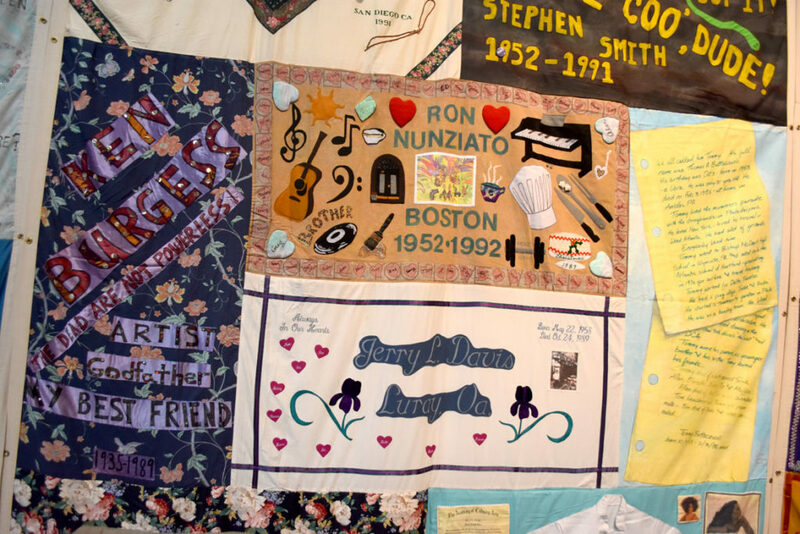 As the disease took its dreadful toll, the quilt has grown to thousands and thousands of pieces. 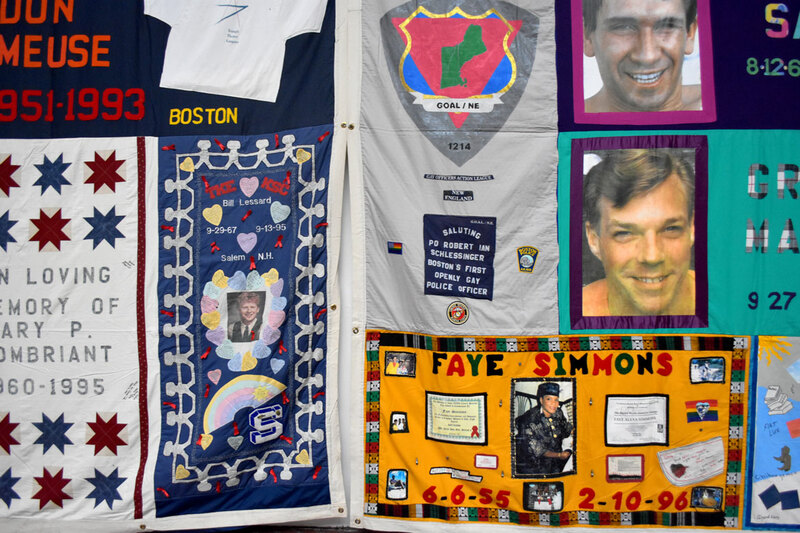 This year the Boston vigil features 20 sections, the most they’ve ever had, each remembering several people. The textiles here mainly memorialize local folks. 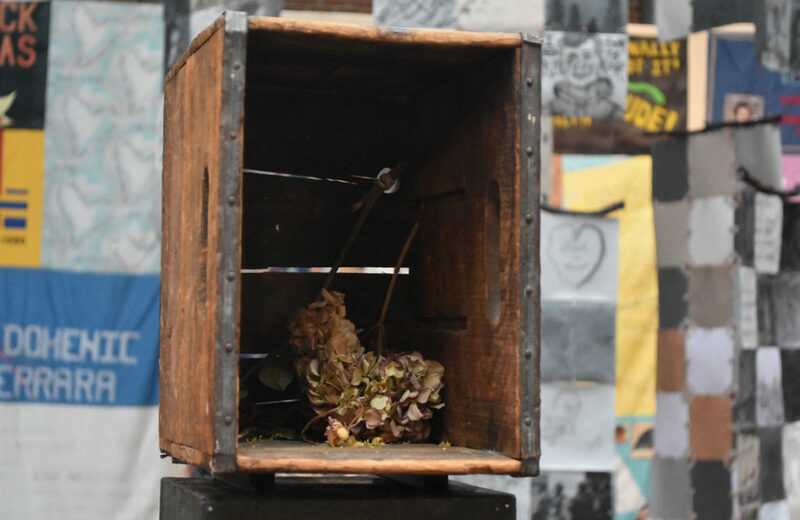 Dowling first presented “Medicine Wheel” as part of A Day With(Out) Art, which as launched in 1989 as the visual arts community’s annual response to the AIDS crisis. 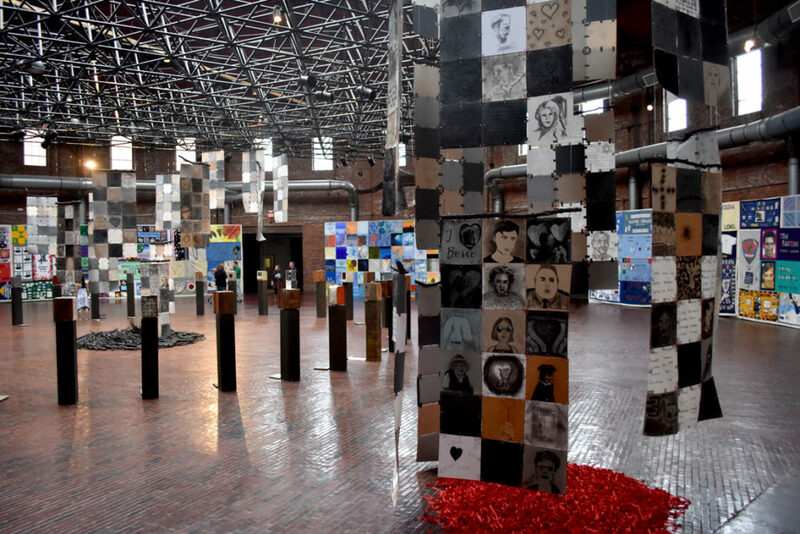 Most activities associated with A Day Without Art no longer take place, but Dowling’s effort continues, the largest AIDS memorial event in the region each year. 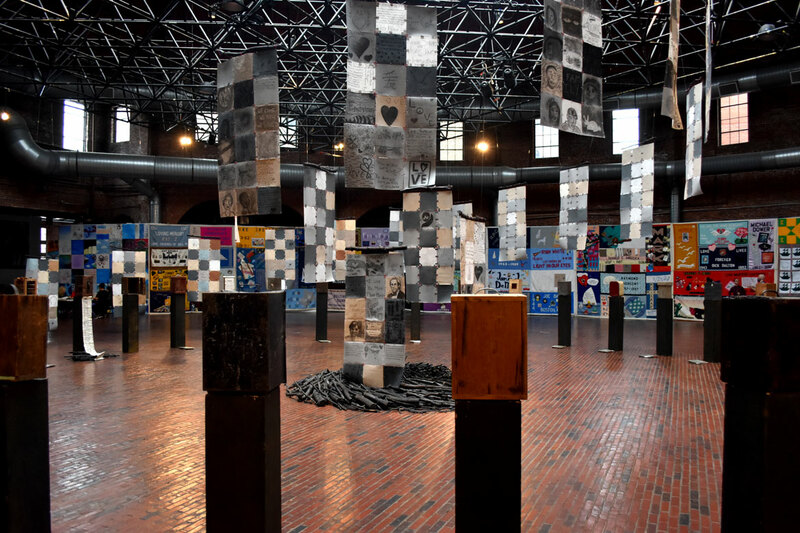 The Boston event gets its name from 36 pedestals and portable shrines arranged in a circle. 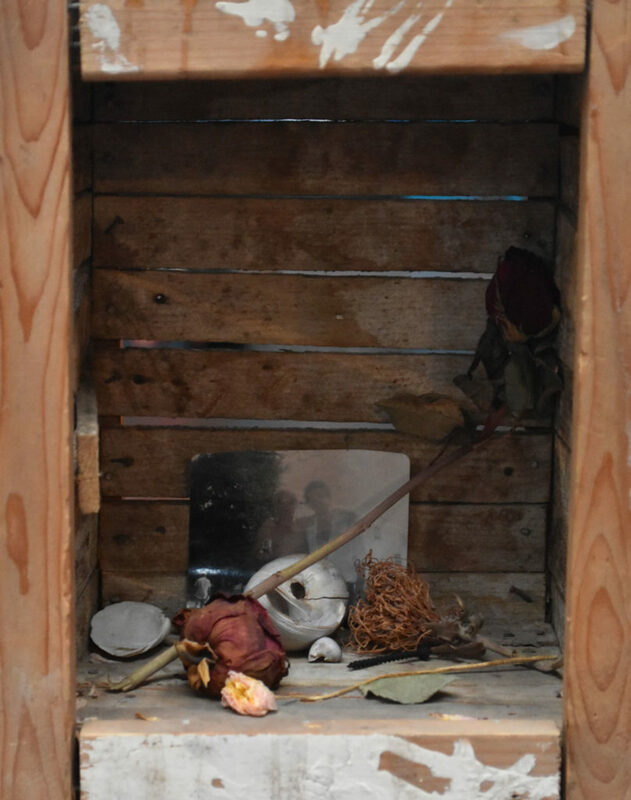 Visitors are invited to leave momentos. 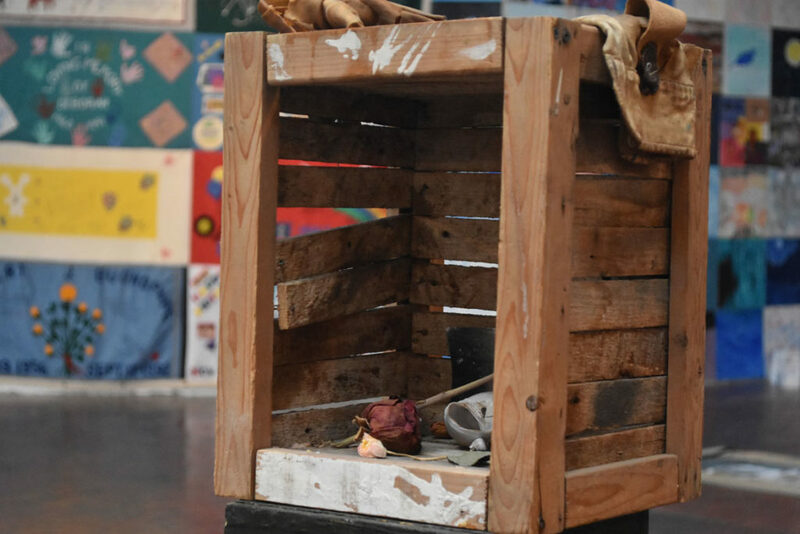 Each year’s display is based upon an element: water, earth, air. This year it’s fire—with a swirl of blackened tree branches at the heart of the installation.